Please select a valid date to view the available times. Please select a date and time to continue. Check in and enjoy your first two hours with one of our animal keepers in our 15 acre Gator and Wildlife Park. 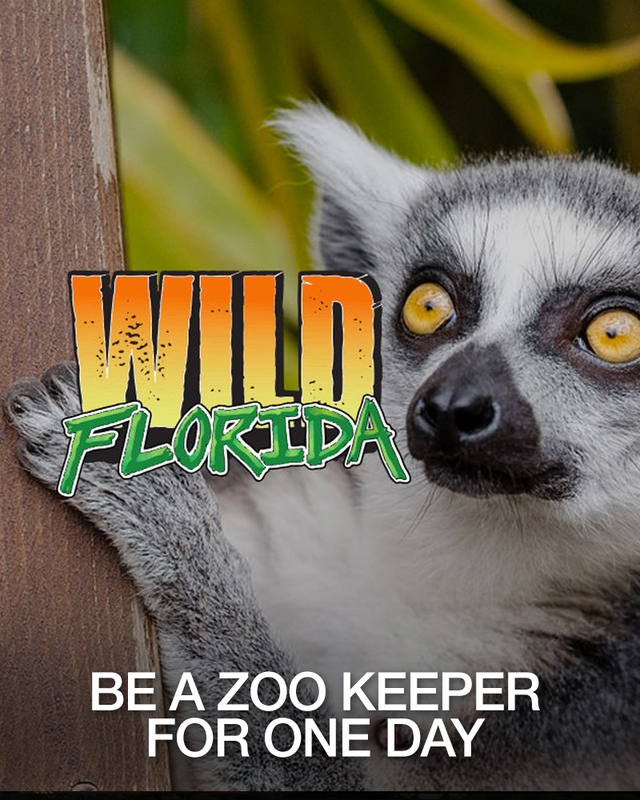 Your day will be animal packed as you get the opportunities to help prepare diets, feed our animals, as well as training and enrichment activities with our exotic animals. You will also get a private hands on gator demonstration and a photo of you handling an alligator. Once you have had the chance to hold a live alligator you will get a bag of our gators favorite diet and feed gators from six to 14 feet! After your time in the Gator and Wildlife Park you will enjoy gliding across the swamps into the Everglades on a one hour airboat tour. You won’t leave hungry either because a real Florida BBQ lunch is included. If you were ever interested in a career working with animals this is your chance to experience it! In 2010, Wild Florida set out to preserve one of the few pieces of private property on Lake Cypress in the headwaters of the Florida Everglades. With an eye on polishing one of the jewels that is a throwback to what Florida used to be like, Wild Florida gives Orlando visitors and local residents a glimpse of what it’s like to be lost in the Middle of Nowhere. Hop on board one of our U.S. Coast Guard certified airboats for a tour into the wilds of Orlando. You’ll see alligators, turkeys, wild hogs, eagles, and many other animals who call the Florida Everglades home. You will be amazed at what you are able to see in this little piece of heaven we call Wild Florida.